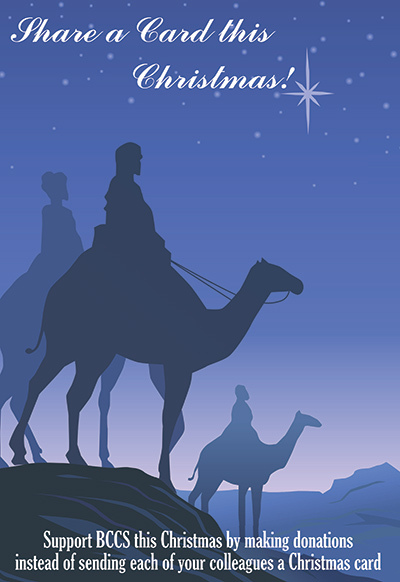 All the profits from the sale of our Charity Christmas cards come directly to us and we are delighted with our selection of cards this year from Medici and the Great British Card Company. Take a look at our selection below. Supporting our Annual Prize Draw is a great way to raise money for bccs. Tickets are £1 for one or £5 for a book of 5 with a chance of winning £50, £100 or £250. 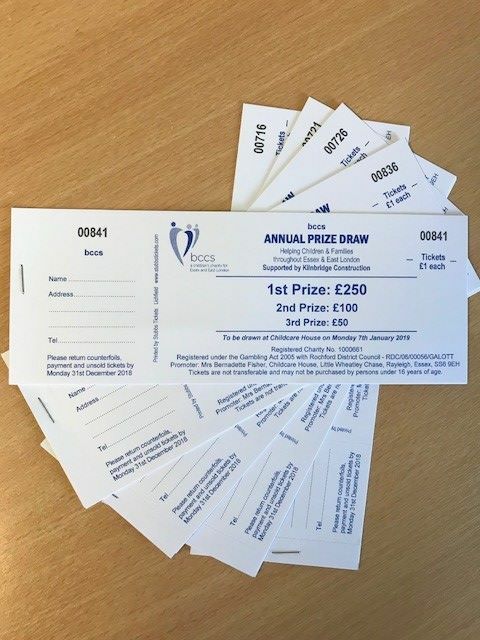 Click on the button below to find out how to request your Prize Draw tickets or email us if you would like to become a member of our Raffle Team who take some books for us to sell to their friends and family. Our Share-a-Card Christmas campaign is back for those working in offices or schools, members of clubs or groups. Rather than sending individual cards, these supporters display an A4 Share-a-Card and collecting box in a communal place so they can write their Christmas message and donate what they would have spent on cards to bccs. Come along to our Ladies' Christmas luncheon on Friday 7th December at The Rayleigh Golf Club - it is always a lovely festive event. Tickets are £25 for two courses. See our Events Page for more information. We have booked several dates at Essex railways stations to sing Christmas Carols during December. Why not come along and join us - no need to book in - just turn up and sing along. See our Events Page for dates and locations. Our 2018 selection of Charity Christmas cards from The Great British Card Company & Medici are now in stock. Our Annual Prize Draw tickets are now available with prize money of £50, & £100 & £250. Read on to find out how you can be involved. Our Share-a-Card Christmas campaign is back and we are asking you to support bccs by sharing a card this Christmas with friends or colleagues.